The Rev. Keith Cardwell graduated from Louisville Presbyterian Seminary in 1987 and was ordained to ministry in the Presbyterian Church (USA) when he became pastor of First Presbyterian Church in Carthage, Illinois. In 1993, Keith returned to his home state of Alabama as pastor of First Presbyterian Church in Bay Minette. He grew up in Goodwater, near Alexander City. In 2008, Pastor Keith was called to be the pastor of Swift Church. Keith’s wife, Lisa, is his confidante, helpmate, and a strong lover of God. She is very musically talented and is Swift’s music director. They have two adult children, Heather Myer (husband: Neil) of East Lansing, Mich., and Pate Cardwell (wife: Brett) of Silverhill. The Cardwells have six grandchildren. 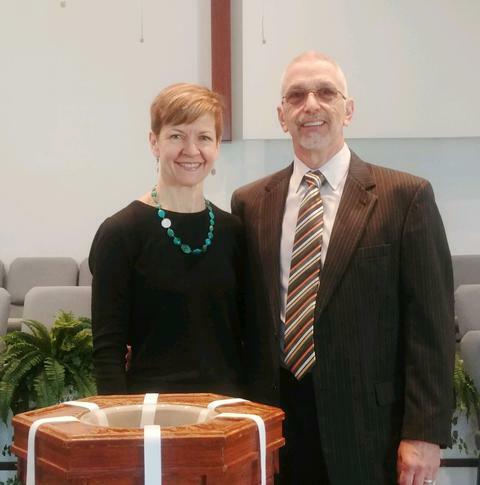 Keith’s wife, Lisa, serves as Swift Presbyterian Church’s music director. The church office is open Tuesday, Wednesday and Thursday from 8 a.m. until 2:30 p.m. and Fridays from 7:30 a.m. until noon.